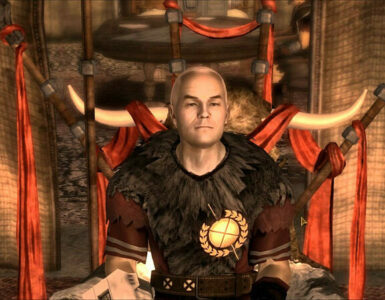 For players who enjoy collecting achievements, many have found that Know When to Fold Them (win 3 Caravan games) and Caravan Master (win 30 Caravan games) are the most vexing. 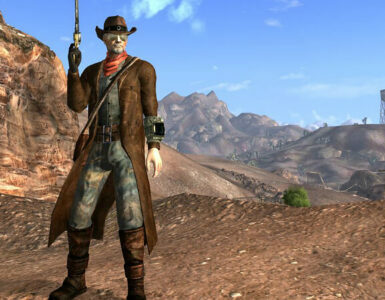 The main thrust of this guide is to show players the fastest solution to obtaining these achievements. To a fault, the game does not explain Caravan rules well at all. 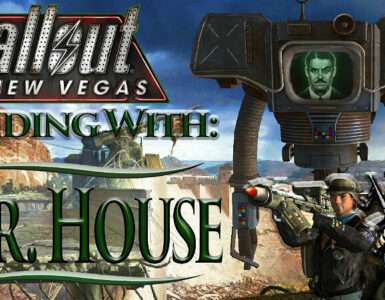 It treats the game like it’s a mish-mash of Blackjack, Poker, and Texas Hold ‘Em. Forget everything Ringo’s holotapes tried to teach you. 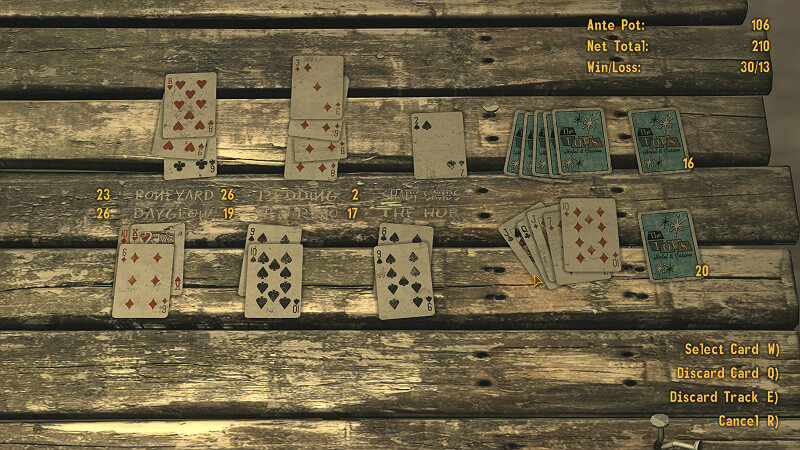 In Fallout: New Vegas fluff, Caravan is a simple card game played by Caravan guards and travelers journeying through the Mojave. 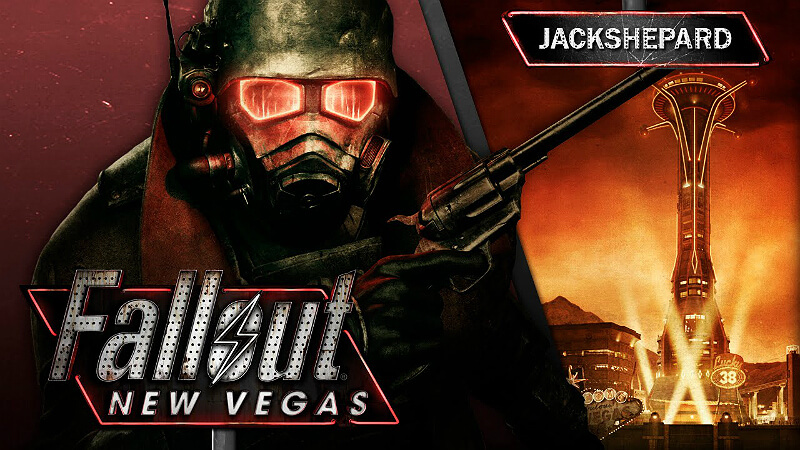 Unlike the games you can play on the Strip (Blackjack, Slots, Roulette, etc.) 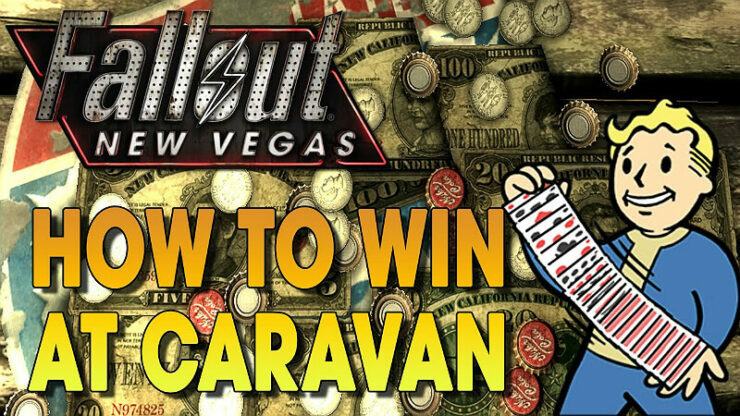 Caravan is slow paced, requires some level of strategy and there is no “luck” outside of what card you draw next. The stakes are low, so Bottle Caps, Legion Denarius, and NCR dollars can be used to bid. The goal of Caravan is to form three piles of cards, each of which has a numeric value ranging from 21 to 26 – it cannot be higher or lower than this range. The first player that gets two piles within that range, AND if the numeric values are higher than their opponents, wins the game. 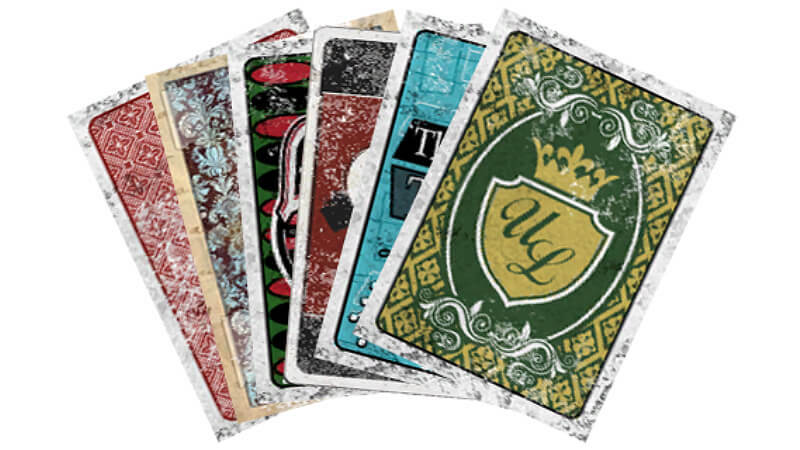 Each deck must have at least 30 cards. 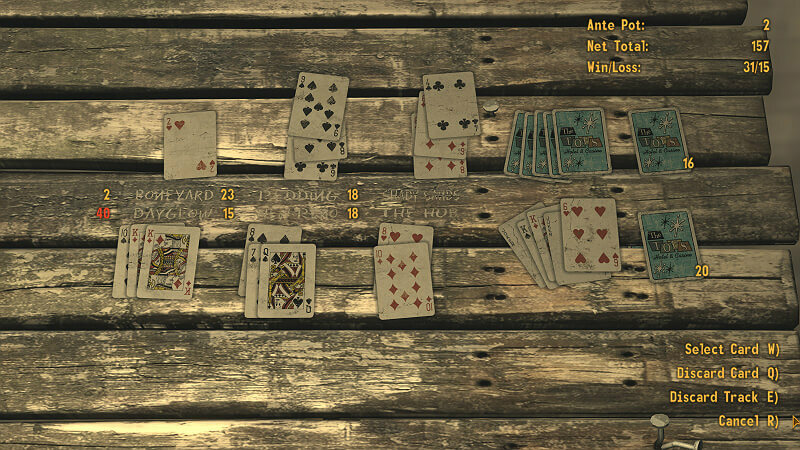 Card piles must be in ascending or descending order of the suit they’re played. 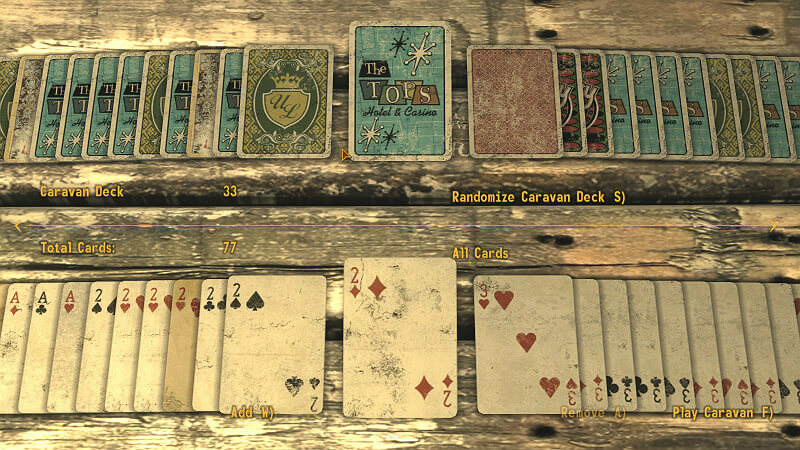 In Caravan, you build your own deck of cards, and play it against your opponent’s deck. This is where most people make a common mistake; they say, “Hell with it, I’ll just randomize my deck”. The above will give you 20 cards from the get-go. The minimum requirement is 30, so fill the rest of your deck with all of the Jacks, Queens, and Kings you have. For my deck, I have 33 cards. 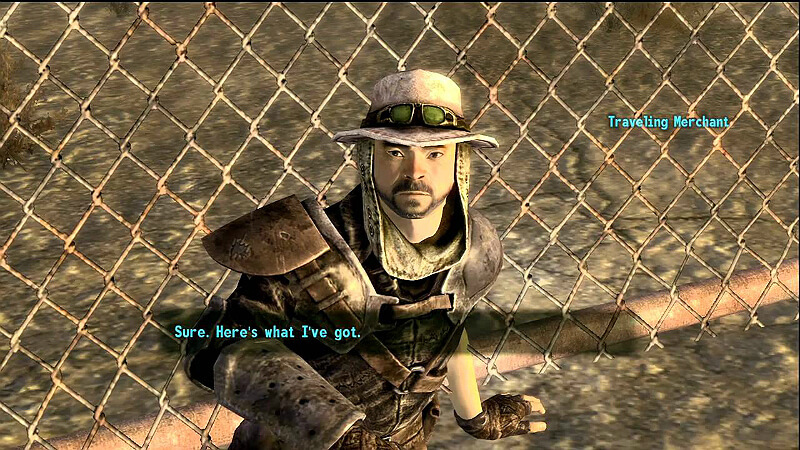 You can also buy cards from certain merchants across the Mojave. All numeric cards have their face value. Aces have a value of one. Simple, right? However, jokers and the face cards have different rules, which really annoys newer players. I will try to explain them the best I can. 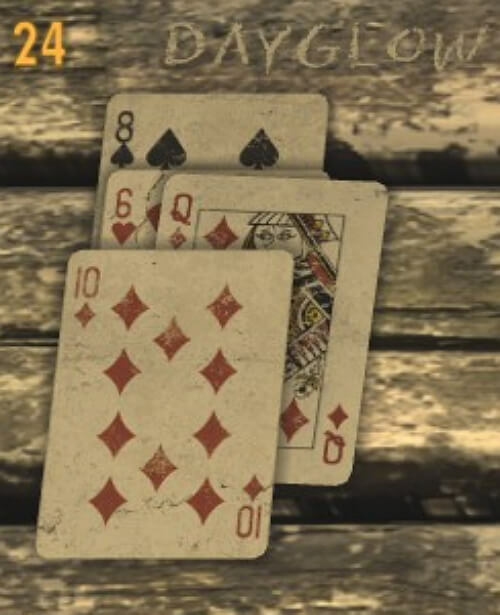 JOKER: Jokers can be played on all numeric cards, as well as aces. A joker played on an ace will remove all other cards from that suit from the table (e.g. a joker on an ace of spades will remove all spade cards). A joker played on a 2-10 card will remove all other 2-10 cards from the table (e.g. a joker on a 2 will remove all 2 cards, regardless of suit). The Queen of Diamonds changed my Six of Hearts into a Six of Diamonds. Additionally, it changed the direction of the pile, so I was able to play a 10 of Diamonds and get to 24. Ringo slipped one of his Kings next to my King on the left side, so my pile turned into a 40. I had to discard my pile and start over. Save your queens so you can ascend/descend a pile to get it between 21 and 26. Use your Jacks on your opponent’s piles so it ruins the numeric value. You can also use your Kings on your opponent’s piles to cause them to go over 26. Due to the nature of the deck build, the likelihood of drawing a card that will put you closer to winning is always high. There’s always a chance your opponent might win, but don’t sweat it. Just save your kings and jacks for your opponent’s piles when they’re about to win. All in all, Caravan might seem complex, but the above method is an easy way to cheese the system.